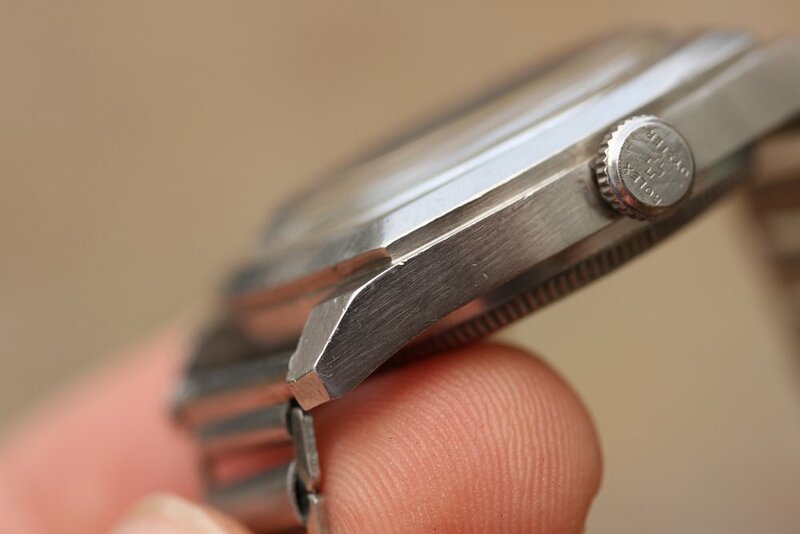 Reference 4647 in steel, 32mm cushion shaped, manual wind. 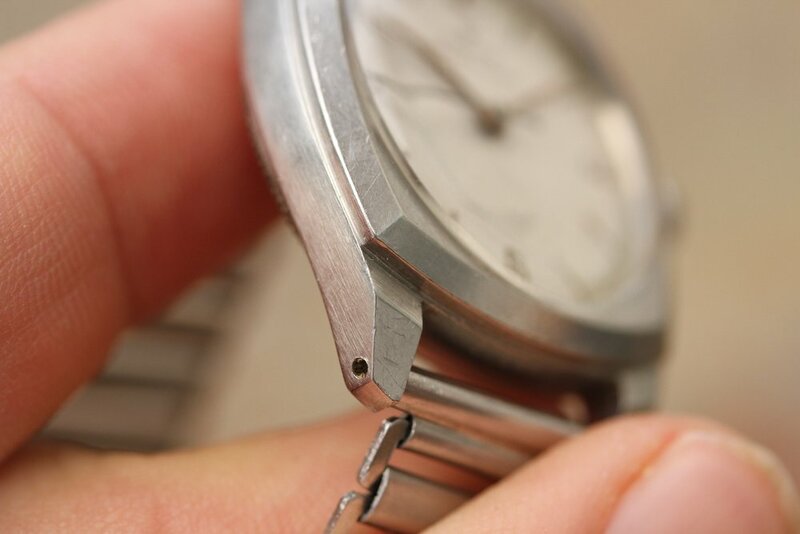 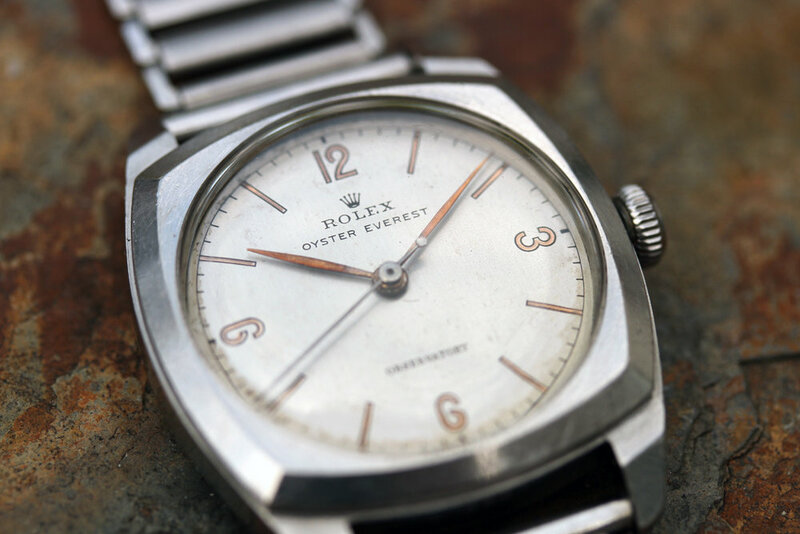 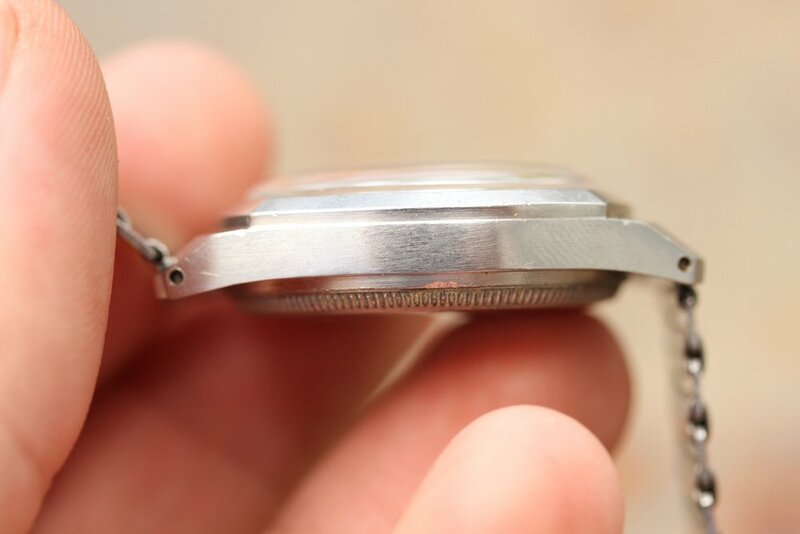 This watch measures 32mm without the crown, but due to cushion shaped case with dominating lugs, wears more like a 34mm Date model, of example. 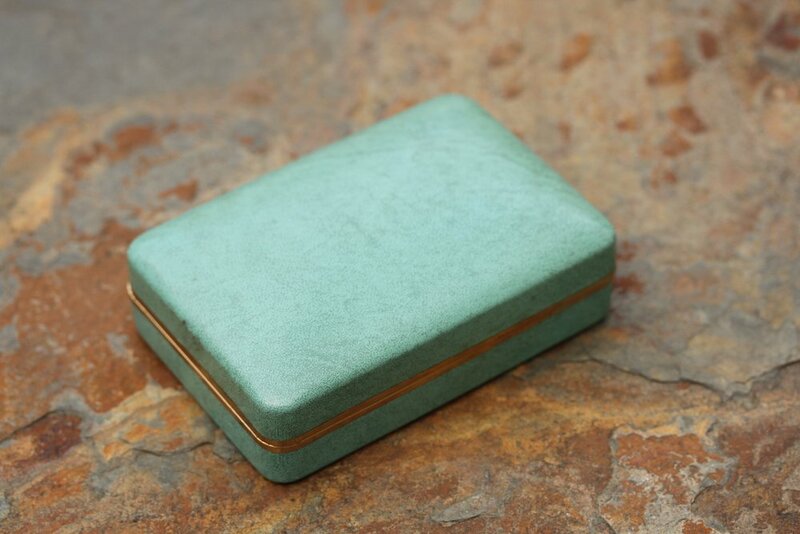 Excellent vintage condition case with very sharp edges and original finishes. 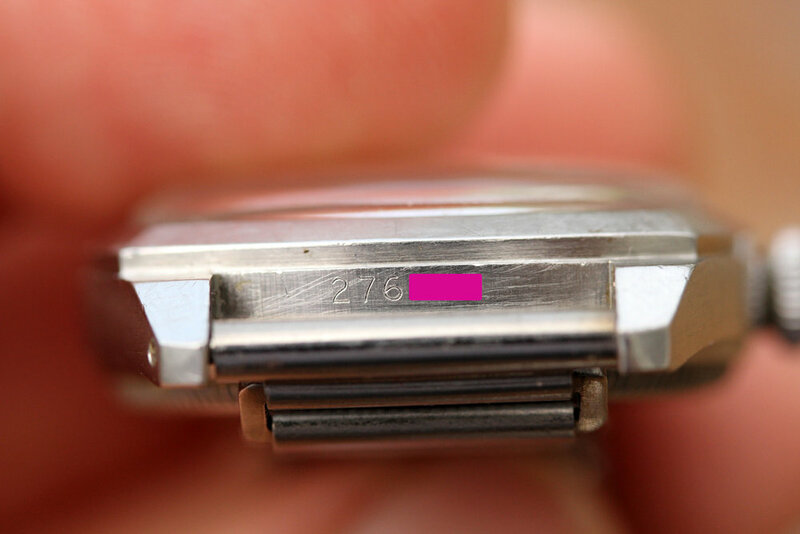 Serial number is fully intact and very clearly visible. 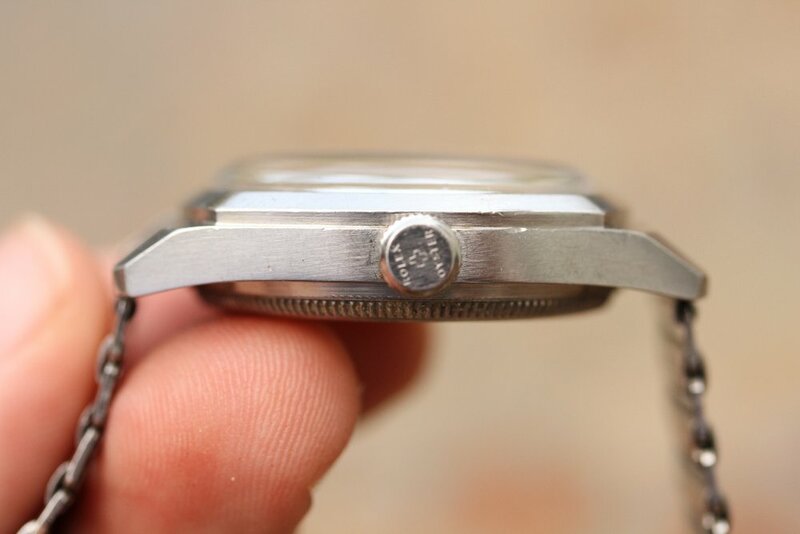 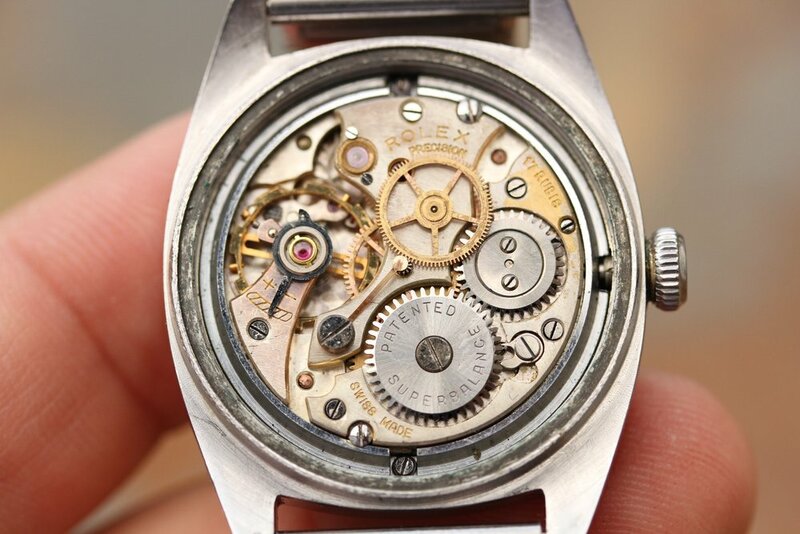 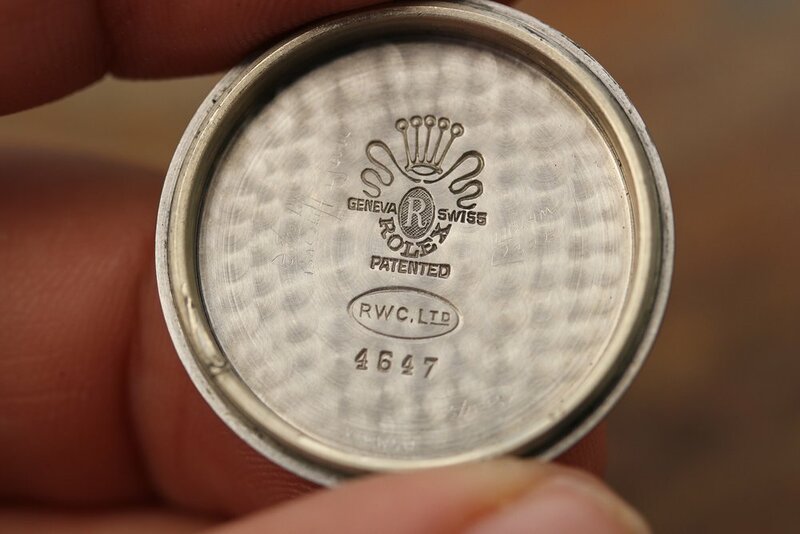 Caseback is original, stamped 4647 inside. 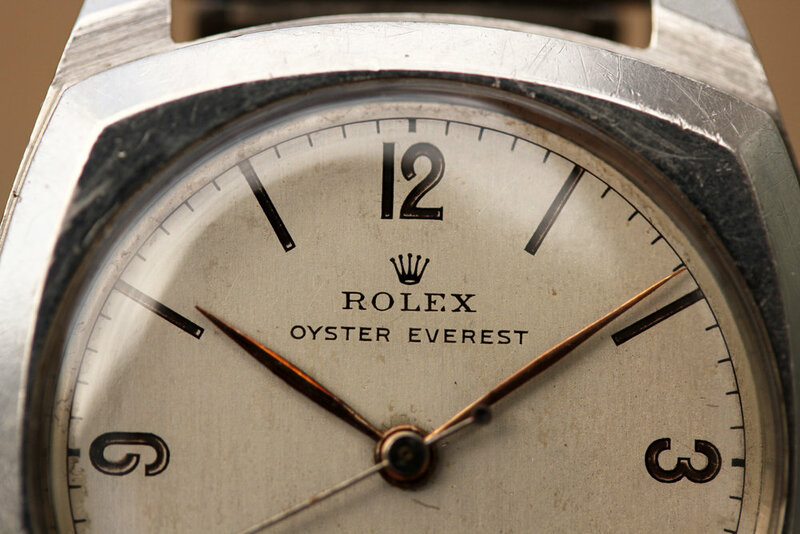 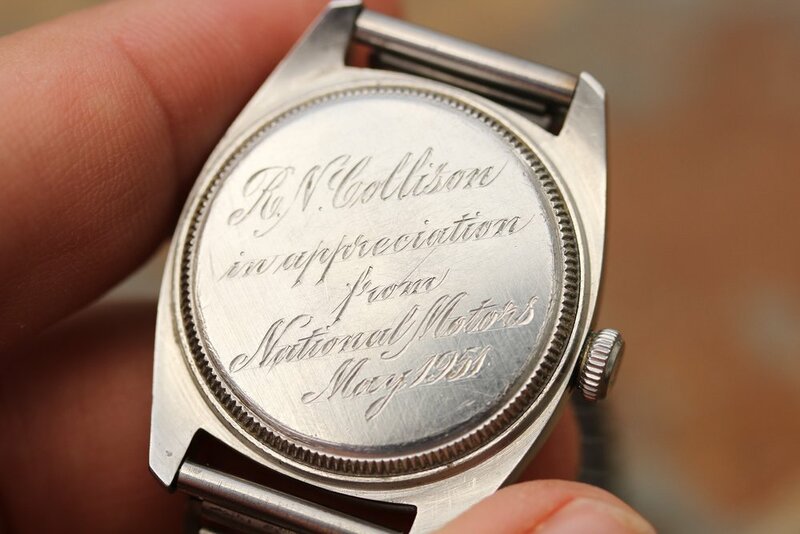 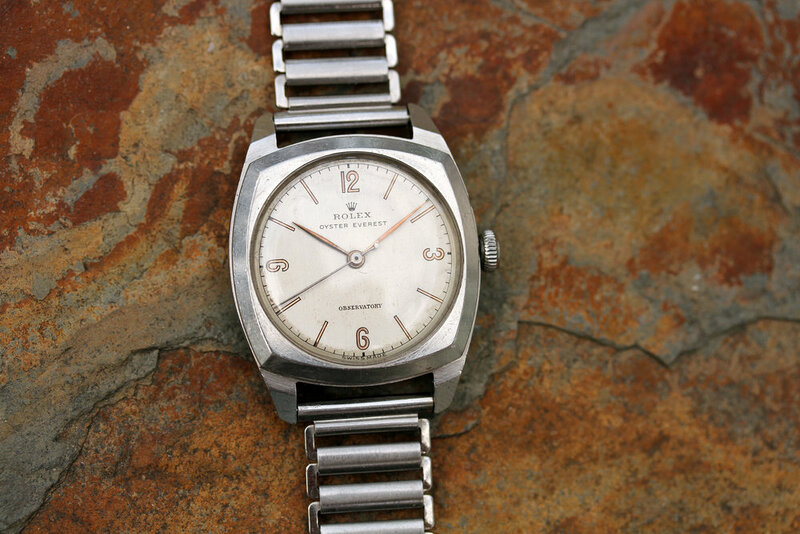 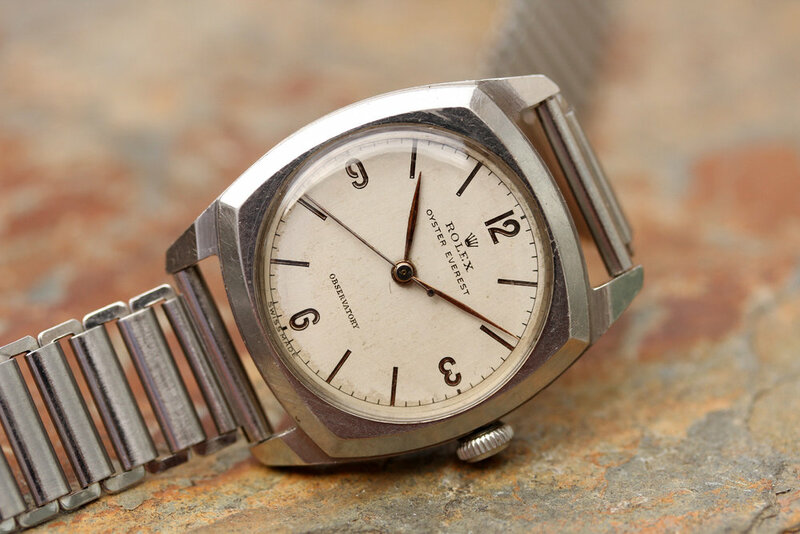 It is engraved with personalized message and dated 1951, which is presumably when this watch was awarded to its owner. 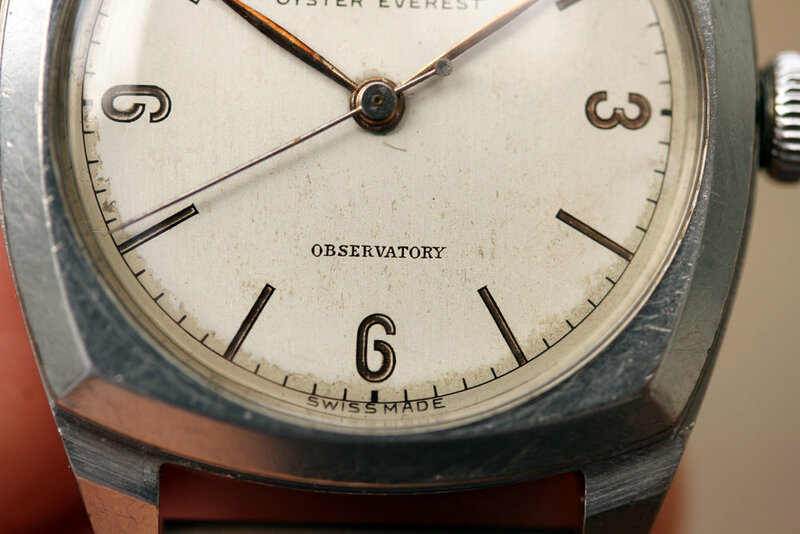 The dial is extremely attractive “Explorer” style chapter ring with bronzed markers and bronze colored hands. 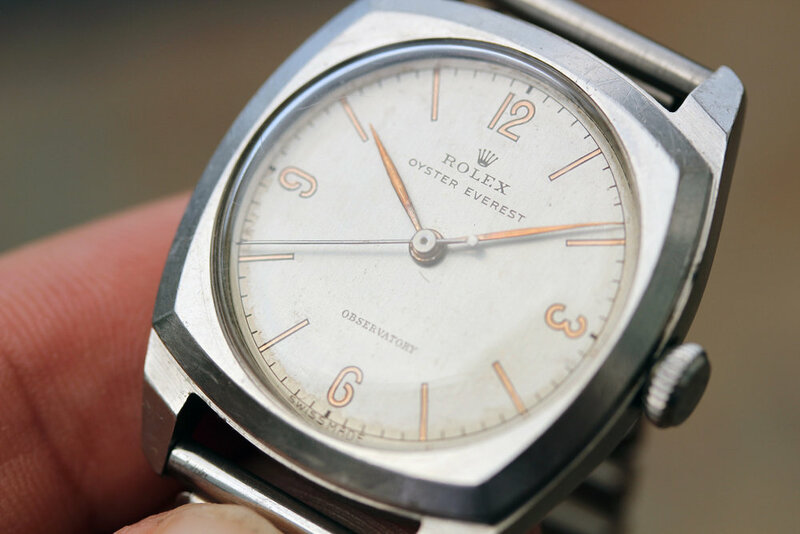 No refinish. 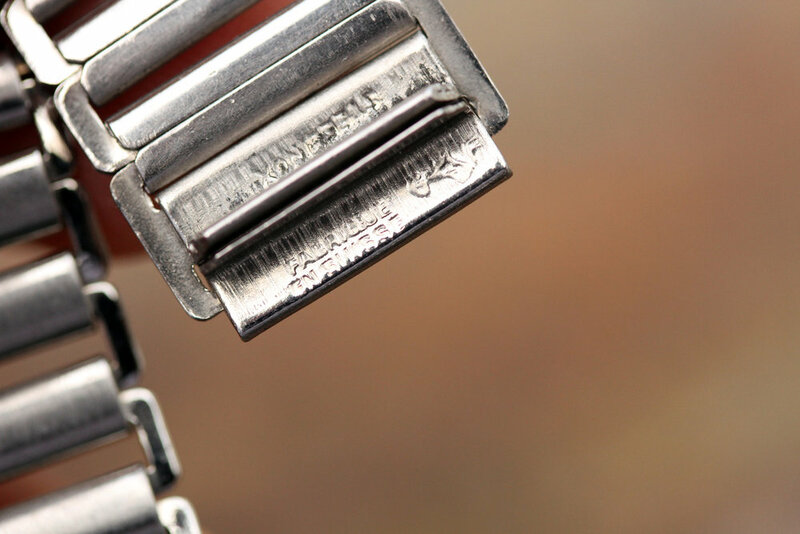 Bracelet is a Swiss made Gay Freres bandclip style bracelet in excellent condition. 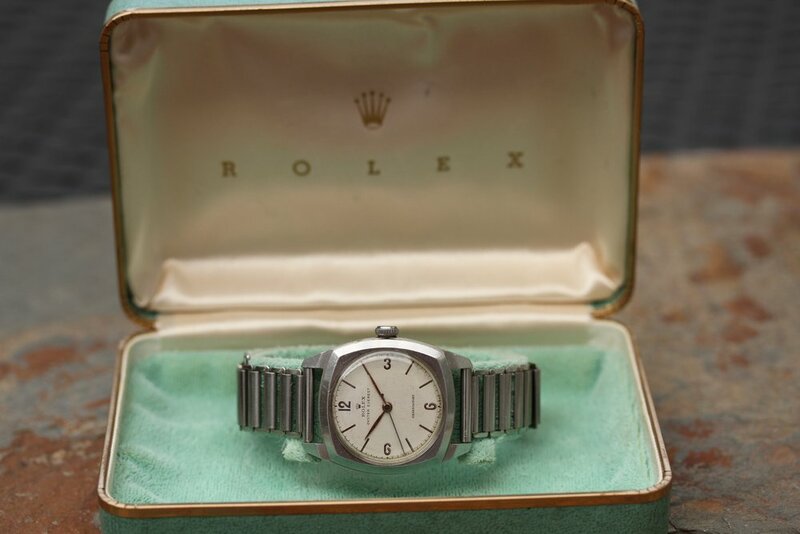 Watch comes with teal colored Rolex hardshell box in excellent condition.